The Battle of Dragoon Springs was a minor skirmish between a small troop of Confederate soldiers, (Company A of Governor John R. Baylor's Regiment of Arizona Rangers), and an army of Apache warriors during the American Civil War. It was fought on May 5, 1862, near the town of Benson in the Confederate Arizona Territory. The battle marks the only battle deaths by Confederate forces in what is now Arizona. 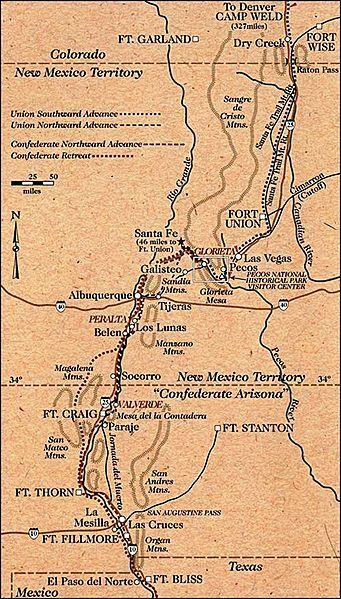 Confederate Arizona was established out of growing dissatisfaction with the territorial government of the United States' New Mexico Territory, which included what are now the U.S. states of New Mexico and Arizona, and the southern part of Nevada. 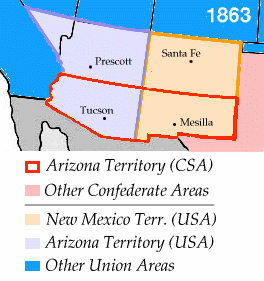 In 1861 conventions held at Mesilla and Tucson advocated the separation of the parts of the territory below the 34th parallel north, which would be named "Arizona" and would be aligned with the Confederacy. This aim became a reality following the Confederate victory at the Battle of Mesilla on July 25, 1861. This Territory of Arizona was officially declared by Confederate President Jefferson Davis on February 14, 1862, and shortly thereafter Confederate forces were deployed on the ambitious New Mexico Campaign to gain control of the Southwest. On May 5, 1862, a small Confederate foraging party was investigating the area around an abandoned Butterfield Overland Mail stagecoach station and spring in the Dragoon Mountains, about sixteen miles from the town of Benson. 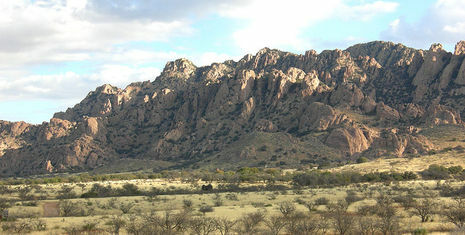 A force of about 100 Chiricahua Apache warriors, commanded by Cochise, ambushed the party. Four Confederate soldiers were killed, while the rest fled the initial cavalry charge. The Apaches succeeded in capturing a large amount of livestock and horses. This minor skirmish is noted for causing the Confederacy's westernmost battle deaths, and is the only known engagement in which Confederate soldiers were killed within the modern confines of Arizona. It can be seen as related to the Apache Wars fought between Apaches and the United States between 1851 and 1886. A few days later, after hearing of the attack, Colonel Sherod Hunter ordered his men to take back the captured herd of cattle and horses, as well as to get revenge for their fellow ambushed soldiers. The Confederates succeeded. The four dead soldiers were buried on the field; only one remains there today.